Music that makes you want to move, dance and hum along with the melodies. A sophisticated jazz and contemporary world singer from Peru? -Yes, Peru. In the last 100 years jazz has spread to every section of the globe, bringing forth fine Latin jazz musicians from New York, Cuba and Brazil. And if you haven’t already heard about her, Corina Bartra from Peru…. 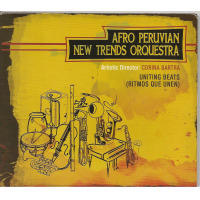 Corina was the first vocalist to blend Afro Peruvian and criolla music & Jazz. She also pioneered subtle and exciting instrumental textures in her compositions and her arrangements. She writes extensive intros, interludes, and solos filled with inventive rhythms and beautiful harmonies. She also guides her musicians to do so. With this approach, she adds an instrumental section to her unique & historic projects. 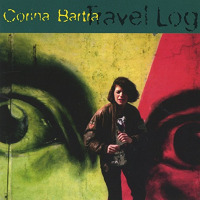 Corina Bartra has degrees in jazz percussion from (name schools) and a Master in vocal performance. 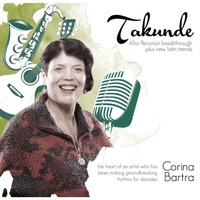 Like so many jazz masters before her, Corina Bartra resides in the New York area (when she is not in Peru) where she not only plays but can study the works of all those artists who came before her, building the international sound of jazz to what it is today. 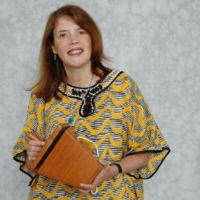 And making her award – Corina was the recipient of the prestigious Queens Council on the Arts award in 2008. Her vocal winner Bambu Sun stand apart from the crowd. Her music has frequent airplay nationwide and topped the charts in some radio stations. She also got ear play in Europe and Peru were she is an influential artist.
. She has pioneered a ground-breaking fusion of jazz and afro Latin music with her releases: CORINA BARTRA QUARTET, Son Zumbon, and Travelog, when for the first time one could hear the incorporation of the cajon (Peruvian percussive box) and the festejo groove blended with jazz. All About Jazz musician pages are maintained by musicians, publicists and trusted members like you. Interested? 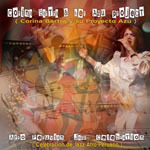 Tell us why you would like to improve the Corina Bartra musician page.